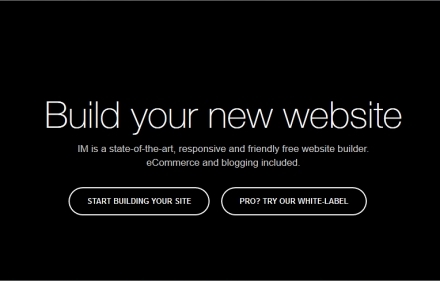 Ask anybody in the industry and they’ll all say the same thing – building an ecommerce website isn’t easy. It is layered, complicated, and requires a lot of effort on your part to attract first buyers. This is why many merchants prefer to sell their goods on eBay and Amazon. But the truth is, these third-party platforms are limited in scope; they will only provide access to a handful of features and you’ll have to follow their guidelines. For further flexibility and customization, you’ll have to get your own store. Thankfully, products like BigCommerce simplify this process and allow you to do more with your store. 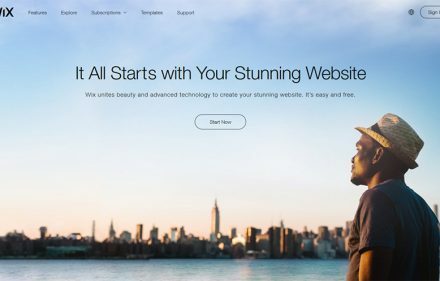 One of the most popular website builders, BigCommerce gives you access to different built-in themes, integrations, and apps that help you sell more products. Let’s start. Go to BigCommerce site. This is the screen you’ll see; click on Get Started. 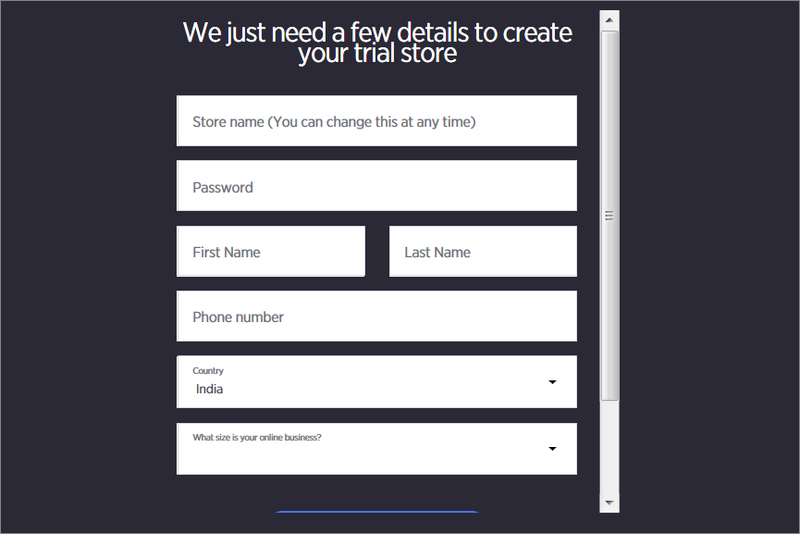 BigCommerce offers users a free trial version for 15 days. This is what you would want to begin with. Just key in your email address and you’re good to begin. Next up, you’re asked for basic details. Fill in the details and click on Create Your Store. Fill in details regarding your existing website, store purpose, etc, and click on Finish. You can take a tour of the features, or just start experimenting with the dashboard. While registering on BigCommerce, you do not have to submit your credit card information, which is a welcome change from the norm. One of the ways that BigCommerce’s sign up process differs from others is the fact that the first step involves you having to create a domain name. This makes it a lot more involved than what is offered by other ecommerce website builders. You can form a sub-domain for free under mybigcommerce.com, register a new domain, or use an existing domain. If you create a new domain, you are charged on an annual basis, and you can either pay on a yearly basis or for up to five years in one go. Once you’re finished creating an account using your email address and password, it’s time you set up each of the components. The first thing that catches your eye is the user dashboard – it is comprehensive as well as complicated. While this makes it less than user-friendly, the layout of this provider is still intuitive enough to allow you to find anything you want without difficulty. No merchant wants to waste their time by spending a lot of it learning about the software. While the learning curve for first-time BigCommerce users may seem daunting, there is no reason to worry as the final product is quite flexible and gentle in terms of handling. There is no confusion as far as the setup process is concerned, and everything is spelled out clearly and thoroughly. Moreover, you should not face any kind of trouble while going through every single step and getting the store ready. One thing you will never find in BigCommerce is long, detailed pages where users need to enter all the details at once. Instead, when adding a product to the inventory, sellers will have to go through different tabs, including one for Images, one for Details, and one for Inventory Information. In case you do not have all the product details with you right at that moment, BigCommerce allows you to focus on just a couple sections and then go back later to enter the relevant information. This product has one of the most advanced search options among ecommerce website builders, and you can easily filter your search to look for specific orders, products, and customers. You can even limit what is shown on the screen. 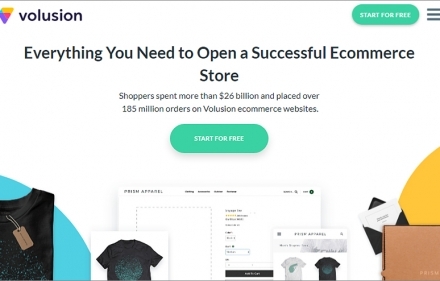 BigCommerce allows users to access thousands of free built-in themes that are straightforward and clean, and create a good impression among potential buyers. From the left sidebar, go to Storefront Design, and click on Themes Marketplace. You’ll find dozens of free and premium themes, mobile friendly and professionally designed, right here. But if you wish to get access to customized designs and premium themes directly from designers, you will need to shell out extra money. Browsing through the themes will help you find many good ones, but if you want something that immediately resonates with users you might have to search for more premium options. But different themes have different price points so it’s best to keep this in mind if you’re working with a fixed budget. Once you’re done creating your store, BigCommerce helps you with converting visitors to your store into buyers. This process becomes easier thanks to the presence of numerous conversion tools, including recommendations of similar items and social sharing of products. You’re able to provide customers with great side-by-side comparisons of products, allow them to use coupons with promotions, and enable them to view the products they browsed recently. BigCommerce also has mobile commerce set up to work on any kind of device. Since this is a rising trend on the Internet, this feature is a worthwhile addition to your ecommerce site. As far as analytics are concerned, BigCommerce has some efficient analytics tools that include the ability to gauge the performance of new visitors over time, and take a daily snapshot of your orders and the store. BigCommerce makes it convenient for you to analyze revenue, view the bestselling products on your store, and check the geographical purchase areas. The analytics section also features abandoned cart notifications, and it gives you a good idea of where improvements are necessary so that you’re able to raise sales. You can make order fulfilling a lot simpler with BigCommerce. Simply label what “bin” your items are stored in the warehouse. Not only does this streamline the shipping process, but you can also avail shipping boxes for free from different shipping carriers. There’s even a copy button adjacent to the shipping address, so that it’s easier for you to paste the address into the shipping label software. If you don’t have one yet, BigCommerce has one available in their in-house app store. Returns are simpler than ever before, as customers now have to explain the reason for their return along with any other information the merchant might need, like any specific action they must take to complete the return process. Once you authorize the return, it’s simply a matter of putting the product back into the inventory. When returns are easier, it becomes easier for you to win the trust of the buyers. 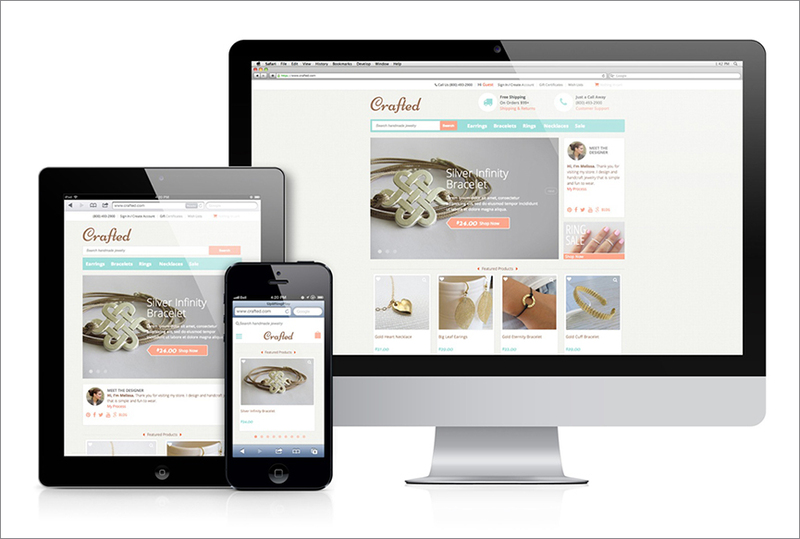 When you’re creating an online store, you’re not just forming order forms and inventory pages. There are other important features that need to be included in the mix as well, and BigCommerce makes it possible thanks to the presence of an extensive app store which features lots of third-party add-ons, including loyalty programs and a recurring billing system. All of these are geared to improve the functionality and quality of your store. To search, click on Apps Marketplace from the left sidebar. You’ll find dozens of free and premium apps for all kinds of purposes. 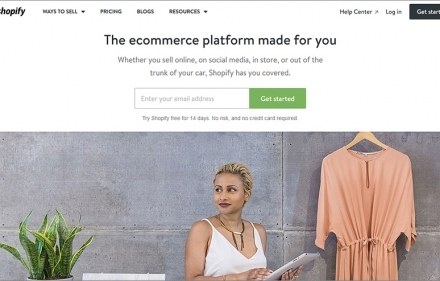 You’re able to integrate your BigCommerce-developed store with MailChimp in order to promote email marketing, FreshBooks for invoicing, SurveyMonkey for customer surveys, and Quickbooks for accounting. You also get full access to a built-in editor which is extremely useful if you wish to create attractive storefronts. There is also a complete HTML editor for those who wish to exert greater control over the design and feel of their website. One of the main factors that contribute to the popularity of BigCommerce is its extensive library of inventory-tracking tools. BigCommerce allows users to import product databases from comma-delimited file rather than making them enter every item individually. It also gives users a chance to implement features like one-click buy and guest checkout to their respective stores across all plans. Multi-currency support is another big advantage, especially when you’re dealing with global customers. Users have the ability to set up website newsletters and also provide customers the ability to post their own product reviews. If a user opts for a Pro plan, they also get a chance to sell on other channels like eBay. There are various tools available to help you manage your customer and financial data. This is the reason why BigCommerce is deeply integrated with Xero, QuickBooks, and other accounting applications that enable you to sync customer information, sales, and more. 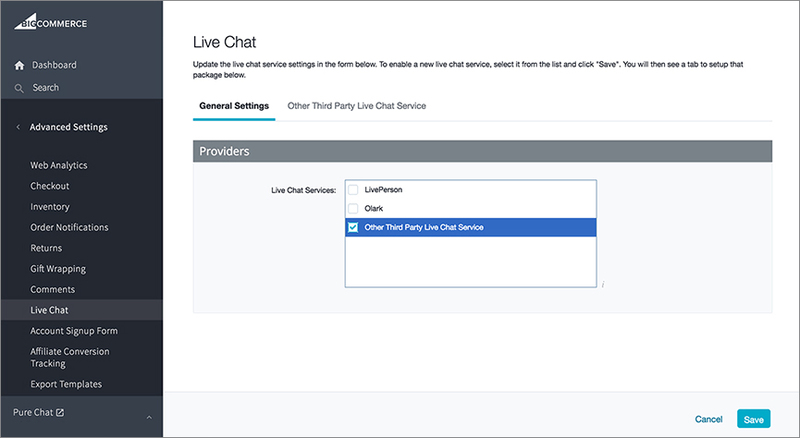 If you want efficient customer support for your store, you’re always free to connect your ecommerce site to Olark or LivePerson for live chat support. You’re also able to add IntenseDebate or Disqus comments to your pages. BigCommerce also supports Zapier integrations, which lets you add buyers to your CRM, use your to-do list app to create tasks for new orders, log orders in spreadsheets, and more. Braintree: The BigCommerce platform relies on Braintree to accept payments from Apple Pay, PayPal, Venmo, Android Pay, and Coinbase. Traditional online payments are processed as well, which explains why Braintree has earned the reputation of being one of the most progressive movers in the payment industry. 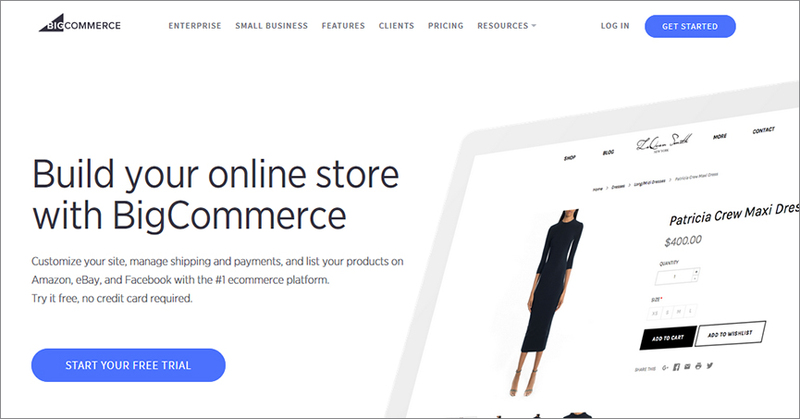 Stripe: Stripe makes it simple for BigCommerce users to conduct business online. One of the biggest highlights of Stripe is the fact that this program is aimed at developers rather than merchants. Listening to and working with developers first allows BigCommerce to remain at the forefront of developing progressive payment solutions. Authorize.Net: This payment provider imparts BigCommerce with features like subscription capabilities, fraud protection, and simple checkout. It has an easy interface and lets you micromanage your security settings. WorldPay: BigCommerce uses WorldPay as a global solution for its attractive lower processing rates. 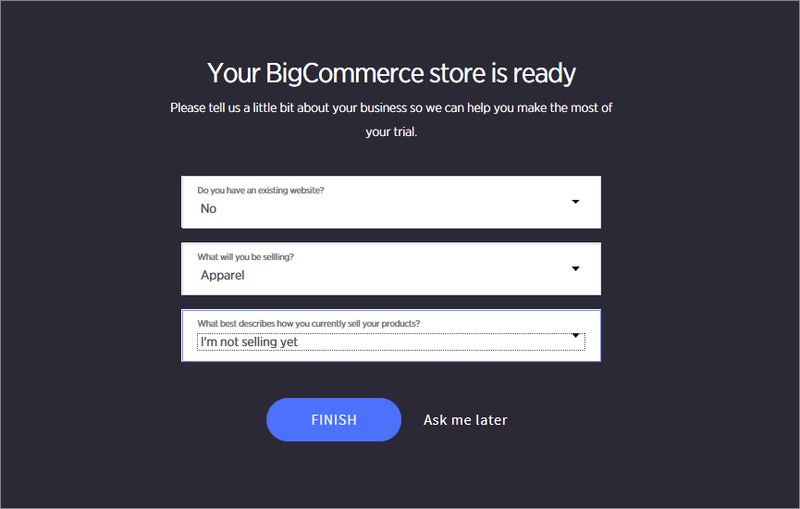 BigCommerce probably boasts of the most-extensive support and tutorial system among ecommerce website builders, including standard webinars, a detailed Knowledge base, a proactive community forum, video tutorials, a dedicated YouTube channel, a detailed design guide, and responsive social media presence. Email support and live chat can be availed by users any time of the day. Sometimes the chat goes offline, but customer service is usually quite prompt. One can easily connect to live chat and speak to a customer service representative. There are three separate packages on offer, including Standard package, Plus package, and Enterprise package. BigCommerce does not impose any kind of limit on its products, since all the three plans enable you to sell an infinite number of items. The Standard plan charges a 1.5 percent transaction fee in exchange for unlimited bandwidth, products, and storage. In the Plus and Enterprise plans, however, the Transaction fees are waived. Every plan offers an additional 10 percent discount when you opt for annual subscriptions, gift certificates, discount codes, and coupons. Users enjoy 24 X 7 chat, email, and phone support, and they also find a way to set up their ecommerce shop on social networks like Facebook. In terms of features, the Standard plan comes with advanced features that are found only in higher tiers among the competition. For example, there are no product limits but there are certain transaction fees. The Abandoned Cart Saver feature available from BigCommerce finds out which customers have abandoned their carts and then attempts to salvage those transactions. But this feature is available only on the Plus Plan, and so makes the upgrade cost-effective. Most online merchants are going to find everything they need in the Plus plan, but the Enterprise plan goes one step further, offering users a dedicated IP address and an SSL certificate. It also includes one-on-one expert setup and migration capabilities, improved reporting tools, and priority support. If a user finds that they are not satisfied with what they’re getting from BigCommerce, they can always cancel their subscription. But they need to complete the cancellation process before the trial period ends as BigCommerce does not provide any refunds. Any merchant who wants to set up an ecommerce store will choose the product that is easiest to use. Simplicity is the key since merchants do not have the luxury of spending hours, managing the store and setting everything up. Instead, they would rather spend their time making the products that are going on sale and fulfilling orders. BigCommerce makes it certain that the learning curve is never too steep for new users, and despite offering a slew of advanced features and capabilities, it remains simple enough to use. 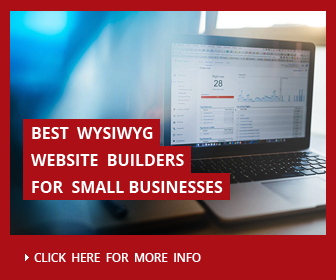 Add to the fact that you receive efficient and friendly service, you have a great ecommerce site builder on your hands. Yes. If your goal is to sell products not on only your online store bit also via Facebook, Pinterest, Amazon, Ebay, Shopzilla, Shopping.com and other ecommerce platforms - in this case BigCommerce is the best that you can use for automatization of sales.